“Autoethnography is an approach to research and writing that seeks to describe and systematically analyze (graphy) personal experience (auto) in order to understand cultural experience (ethno).” (Ellis et al., 2010). The great thing about this research is that is not a boring statistical analysis or searching through piles of information for any kind of data. This research creates a personal connection between the researcher and the case, and allows the researcher to immerse themselves into the context of what they are studying. In my opinion, this is way more informative and interesting than a standard observation. This excites me because i have visited countries like Thailand before, but at the end of the year I’ll be visiting Vietnam. I am so intrigued with different asian cultures, and get really involved in seeing what their day to day lives consist of, and how they are different to me. While reading through the piece, I realised that I have mentally doing enthographic studies of different people I have encountered in my life. I went to school and befriended a few Vietnamese girls, and learnt a lot about their culture and traditions which was interesting for a girl with a european background. I visited their houses and saw what they made for dinner which was always something interesting in comparison to the pasta dish I would inevitably have. On the bus home from school, my friend Maria would always have a different Vietnamese candy for us all to try, and ultimately luring me in more! I have also experienced Thailand, and the people there and how they live their lives. Being a country that isn’t filled with wealth and luxury, it was amazing to see their attitudes towards life, despite the lack of basic things that I would struggle without. Both of these experiences showed me the different traditions, customs and made me want to indulge and find out more. Although at the time I didn’t realise, but now I understand that I was conducting small ethnographic studies. Overall, I am really excited to explore asian cultures in my digital artifact and immerse myself into the culture but can’t decide which culture I’d like to look into first! Hopefully I will be able to decide within the next week. Below is an infographic I created to explain the research practice and methodology of auto-ethnography, I hope it makes it easier to understand what is often an overtly abstracted idea. Godzilla (1954) isn’t something I usually watch on a Thursday morning. As the longest running franchise, it is uncanny how little knowledge I had on a film that still influences pop culture today. Growing up, I viewed the monster genre at face value. The idea of someone dressing up as a large lizard like monster and destroying a city always seemed quite comical to me. This physical creature of fiction was something I viewed quite literally and never understood what it was supposed to represent. This experience was influenced by films such as Mega Shark vs., Sharknado or even later remakes of Godzilla. Which are often over-dramatic and created purely for entertainment value. Due to my Western up-bringing, Asian media is largely categorised as strange and out of the ordinary. Even after guidance from Wikipedia, it is almost possible that any interpretation could be legitimate. As I watched the film, characteristics of the Japanese culture I had already been exposed to from anime and manga were normalised in my subconscious. 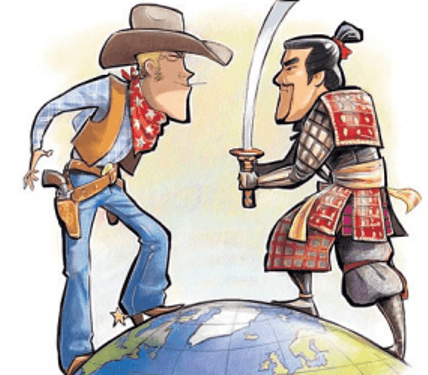 This made it easier to understand the themes without the cultural barrier. It is understandable that terms such as ‘culture shock’ would be used to describe the film. All characters are Japanese, those who are commonly whitewashed in Hollywood productions. These characters who are usually recognised as comedic relief or bad guys, were taken seriously and sympathised with. As a previous Japanese student who finds pleasure in watching subbed anime, it was only when Tweeting was added to the equation that made it more difficult to grasp what was going on during the film. Katakana is the Japanese alphabet used to transcribe foreign words. This means that Godzilla is a portmanteau for ‘gorilla’ and ‘whale’. Rather than a large salamander, Godzilla alludes more to it’s size, power and aquatic origin. Due to it’s context, Ishirō Honda plays on the nuclear paranoia of post-Hiroshima Japan. As a person who grew up post-9/11, strong comparisons are explored with block busters showing New York under attack. Whether it be the crying of young children and their mothers or the destruction and evacuation of homes – these themes were comparatively used to convey the devastation and create an empathetic response from the audience. I was also interested how the most unsettling scenes were filmed by the beach or even underwater. This is a motif that I couldn’t help respond to, due to my phobia of deep water. As a country without borders, Godzilla uses the feeling of being trapped to play on that fear. In this blog post I will be delving into my understanding of the 1954 Japanese classic, Godzilla (ゴジラ). Using my understanding of auto-ethnography I will attempt to interpret this film’s cultural significance as an artefact of time. During the week I watched this film for the first time and live tweeted throughout using the #DIGC330 hashtag on my Twitter (@hazeldinesam). Even as the film starts there is immediately a distinct feeling that you are watching an old film, the aesthetic of projection wobbles and jerking, grainy black and white film and jarringly sparse use of music and sound effects. This automatically places the viewer at certain point in time, which for me as a millennial creates more a sense of regressive novelty rather than a nostalgic reminder of my earlier years. My nostalgic ‘early years’ of experiencing film are best understood as the era of flip phones, Justin Timberlake with ramen hair and the beginning of the never-ending Fast and Furious saga. So context for me took a while to be understood and formed as the viewer. As it progresses growing suspicions of the film’s didactic plot I perceived were to illustrate the devastation of World War II and atomic weaponry, moreover reinforce the need to avoid such destruction for future generations. This approach by the director to use cinema as a warning to future generations that ‘big actions have big consequences’ is a common idea which film has used for decades to establish popular narrative. 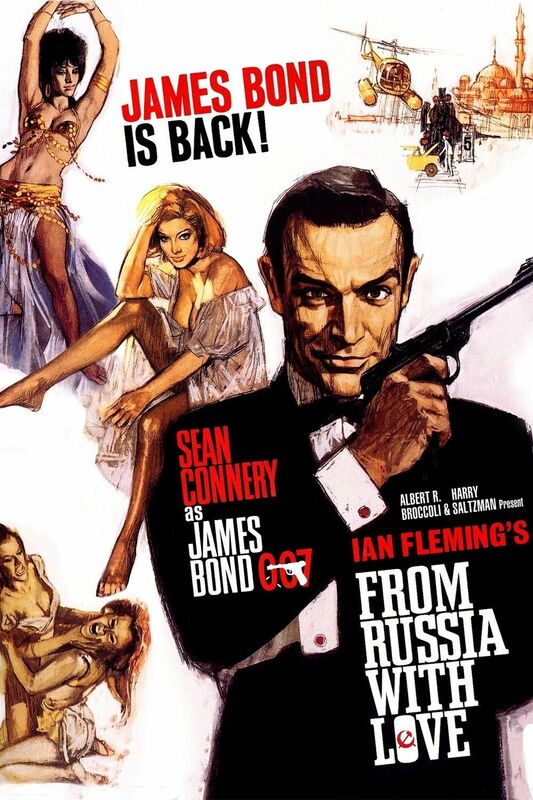 James Bond films, which without exception have an oriental, middle eastern or soviet enemy – all of which remain alien cultures to dominant U.S. narrative. This idea of cinema as a tool of persuasion is undoubtedly a powerful concept, I suggest checking out this article from Business Insider which goes deeper into Hollywood’s impact on the Cold War. More relevant to the ideas shown in Godzilla I believe this film was a part of a recognition process in Japanese culture. What I mean by this – this period of history for Japan unquestionably shook the nation’s identity, being overpowered by the might of the western military in 1945 was humiliating for their proud culture. As part of the years following the war, this film helps to form a common recognition of the scale of devastation and loss – in the film this is manifested as WMDs and a mutant lizard. With the real life experience being the allied bombing of Nagasaki and Hiroshima resulting in similarly horrific circumstances. Of course, this is an armchair analysis from someone who admittedly knows little about the Japanese cultural construct, however to be able to remain detached of emotion towards the ‘facts’ is half the battle. Furthermore, I believe that in the present era of information proliferation, it is exponentially easier to understand the inevitable two sides to every story.